IN OUR SCHOOLS - Welcome to KFMB! 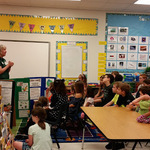 The Town of Flower Mound and KFMB work together to help promote healthy and positive environmental practices. Here is what our town's schools are doing to recycle and improve our town! 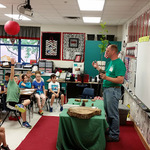 Here are a few pictures from Wellington Elementary, KFMB and the Town of Flower Mound hosted a Environmental Fair for all second grade students. 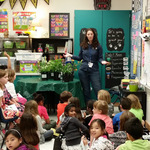 Each class visited different classroom stations where they learned about recycling, rain water harvesting, natural plants, and composting! We would like to thank the town for their support and Wellington Elementary for allowing us to participate in this event. 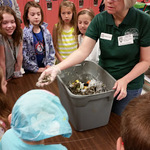 Here are our Top Recycling School performers in Flower Mound.